Ms. Anderson provides a full complement of trademark related services to an international clientele with an emphasis on strategic counseling and dispute resolution. 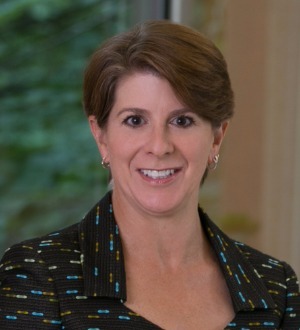 She assists her clients in every stage of the creation, maintenance, and protection of their trademark rights, including selecting and clearing new trademarks, securing trademark rights through registration in the U.S. and abroad, and formulating and executing enforcement strategies designed to maximize the value and scope of these rights. She also counsels clients on legal issues surrounding their marketing and advertising initiatives. Ms. Anderson has successfully litigated numerous trademark cases involving conventional trademarks, non-traditional trademarks, such as colors and product configurations, trade dress, domain names, gray market goods, and counterfeit goods. Ms. Anderson also regularly handles opposition and cancellation actions before the U.S. Trademark Trial and Appeal Board as well as domain name complaints pursuant to ICANN's dispute resolution policy. Before moving to Colorado to join Holland & Hart, Ms. Anderson was associated with a large intellectual property law firm based in Washington, D.C. Prior to that, she served as a law clerk to The Honorable Raymond C. Clevenger, III of the U.S. Court of Appeals for the Federal Circuit. Ms. Anderson attended George Washington University Law School, where she graduated first in her class.